Polished finish, flat center and edges. 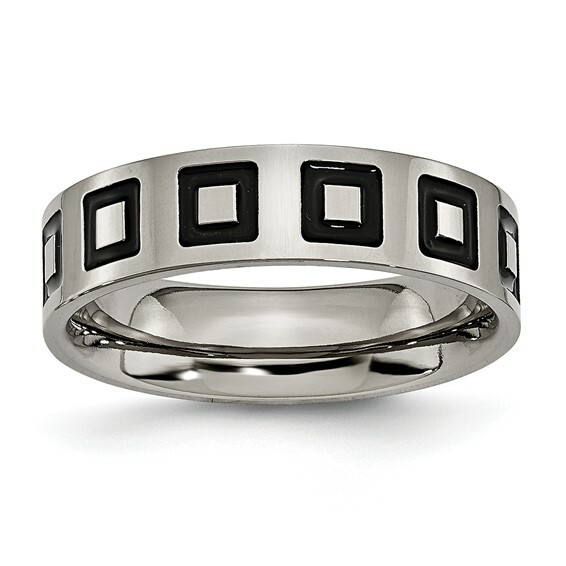 Black enamel squares encircle this band. Width: 6mm. Comfort fit. Made of commercially pure [CP] titanium in China.